Brian O'Driscoll has defended Johnny Sexton after Eddie Jones' latest criticism of the Ireland fly-half. O'Driscoll believes Jones raised the issue mainly as a tactic to divert attention away from full scrutiny on England's clash with New Zealand at Twickenham on Saturday, live on Sky Sports Action, and also revealed he thinks Farrell is every bit as physical as anyone else in the Test arena. 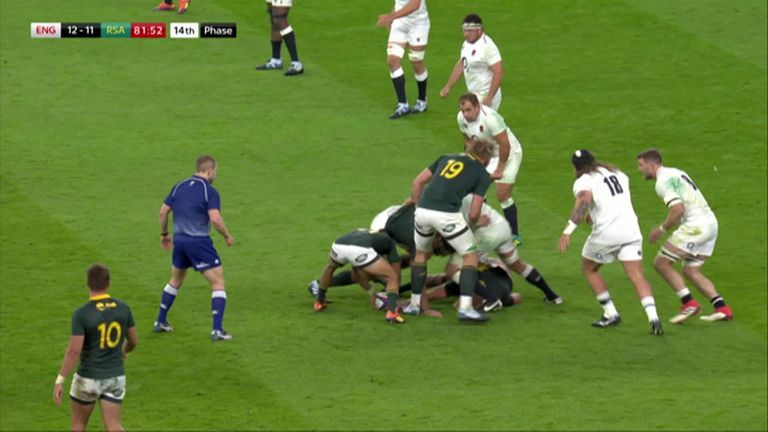 "It's throw the banger over in that direction to take attention away from what is the mainstay point," said O'Driscoll. "Here we are talking about it, rather than the actual point, which is who's going to win the match. "It's a side plot to the bigger theme of what's more important, the game on Saturday. "Do I think Johnny Sexton's more protected than Owen Farrell? Farrell throws it around a lot more than Johnny Sexton, so maybe from that perspective there's less sympathy when he cops a late one, because he's prone to the odd loose one himself, as the end of the South Africa game showed." Farrell is nursing a sore hip heading into England's game with the All Blacks after copping a late hit from Andre Esterhuizen in last weekend's 12-11 win over South Africa. "If he was Johnny Sexton, then we'd be able to complain about him, but because he's Owen Farrell he's allowed to be hit late," said Jones. "He gets up and plays on. He'll be like that this week." O'Driscoll believes that as long as fly-halves stand flat and attack the gainline, they will always run the risk of copping borderline, or even late tackles. "Johnny doesn't need protecting," said O'Driscoll, speaking at Guinness' #AnswerIrelandsCall campaign. "But I think as well that Johnny, even more so than Owen Farrell, Johnny takes the ball to the line and encourages those shots, because they are marginal, a lot of them. "So if he throws it half a second away from the contact and someone still follows through, it's a call for the referee to make. "Sometimes he'll accept the one he throws right on the line, he gets right after he releases it, but that's fair game. "But now we're talking about it so much, we're achieving exactly what Eddie [Jones] was hoping for!"